This topic contains 0 replies, has 1 voice, and was last updated by Nathan Qualls 8 months, 1 week ago. There is much anecdotal evidence to suggest that landscape architects are considering using Autodesk Revit as a design platform to deliver their projects but there is little clear evidence of the scale of the demand and what is driving this review. Keysoft Solutions has provided dedicated AutoCAD-based solutions to the landscape profession for over 25 years in the UK and now in North America. We are now gathering evidence to assess the level of demand for a landscape design solution built within Revit. 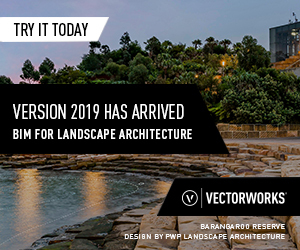 We welcome your feedback on the use of Revit for landscape design and would appreciate a few minutes of your time to complete our short survey.